So what exactly is "quinoa," and which is better for you: agave or honey? Today, we're seeing quinoa, agave, and honey in many healthy recipes and products on our store shelves, and they've become staples in the pantries of many health-conscious eaters. Simply put, quinoa is a powerhouse grain that cooks faster than brown rice and contains a higher percentage of nutrients per serving, and both agave and honey sweeten our favorite foods and beverages. But one of these two ingredients sweetens food by using just a small amount, while the other sweetener has a distinct flavor and contains more health benefits. 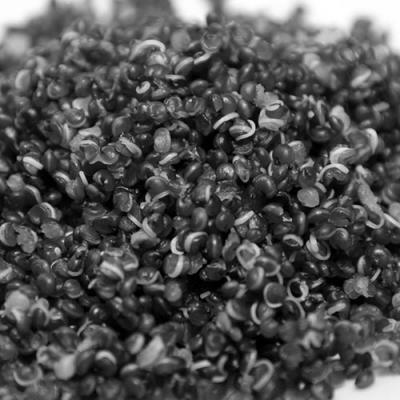 What is Quinoa, and what makes it a "Super Grain"? Quinoa (pronounced: keen-wah) is my favorite of all the grains. It tastes delicious warm or cold. It contains all nine essential amino acids necessary for our body to build and repair muscle and tissue, which makes it a complete protein. Quinoa is gluten and cholesterol free. Along with its high protein content, it's super-grain packed with iron and fiber. Unlike rice and other grains, it cooks up in less than 15 minutes. Add a few tablespoons of olive oil, a pinch of sea salt, juice from a fresh lemon and you have a great base for a meal or snack. It stores nicely in an airtight container for up to three days in the refrigerator. Start your day off with quinoa by adding egg whites, spinach, and feta. Perhaps you want something sweeter for breakfast? Have it with a little maple syrup and low-fat turkey sausage. And because it travels well, you can take quinoa to work and enjoy it as a salad for lunch. I like to dress it up with avocado, diced cucumber, chopped bell peppers, low-fat cheese, and grilled chicken. At our house, I serve it most often with dinner. In the fall and winter months, I typically serve it warm with shrimp or scallops. I like to improvise and toss in whatever vegetables I have in stock. If quinoa starts to get dry and sticks together, I sparingly add more olive oil or a marinade that compliments the other ingredients. What's better: Agave or Honey? We all know where honey comes from, but what is agave? Agave nectar is a natural sweetener that comes from the blue agave plant, which is grown in the desert region of Mexico. Because it comes from a plant source, it's very appealing to vegans. Agave nectar tastes one-and-a-half times sweeter than honey due to its higher fructose content. But remember: fructose is known for increasing our risk for obesity and Type-2 Diabetes, so when using agave in recipes, it's important to remember a little goes a long way compared to other sweeteners. It's most commonly used to sweeten teas, smoothies, energy bars, and various baked goods. I've used both agave and honey separately in our smoothie and healthy snack recipes. When agave and honey are compared per serving, their amount of calories, carbohydrates, and sugar, are almost identical. Honey, however, is more flavorful and nutrient dense. Honey also provides more antioxidants and minerals. This is why honey is my sweetener of choice. I try to create recipes that are nutritious and delicious. In my opinion, honey is both.